Do you have vehicles to sell? Do you want to sell these vehicles and pay no sales charges? GBC Professional can assist you. GBC Professional have customers in Europe that are searching for vehicles and vehicle parts to purchase; vehicles and parts that you may have in your yard. Register for free on the GBC Professional web site, (http://gbcars.eu/en-u) upload the vehicle details and images and sell - it is that simple and there are no charges for sellers. 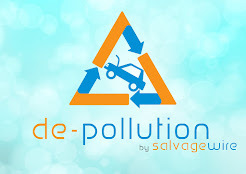 2 companies, both in the business of recycling cars, within 20 miles of each other, family owned and run, and I visited both on the same day – there the similarities end. Leaving the first company I was enthused and motivated by their passion, vision and energy, I wanted to slit my wrists as I left the second business because I was so depressed. Completely embracing the internet age, company number 1 has designed a process where the vehicles are dismantled, all parts quality controlled, tagged, imaged and racked, then listed on e-bay and sold. At the time of my visit they had over 12,000 listings on e-bay and were selling in excess of 200 items per day. When I arrived at company number 2 I was immediately met by de-motivated owners and staff telling me that the business was running on fumes, had no future and was just ticking over; the owners had recently invested in another business and were putting their efforts into that, giving the message to their staff that the auto recycling business was not important to them. The main question that I came away from this under-performing business was how did this happen? This is a business that has been running for over 30 years, very successfully giving a living to the owners and quality employment to their staff, yet it is now struggling to survive. Unfortunately the negative attitude of the owners didn’t give me any hope for a better outcome apart from closure or sale. The difference between both companies can be summed up in one word – Vision. The owners of the first company have a vision of the future where they are a factory that is producing green recycled parts, and sell thousands of parts daily using on-line platforms (e-bay is only one tool that they could use). The other company do not have a vision for a successful future for their business at the moment. Vision is essential for any business to survive; the vision needs to stretch the staff to perform better, for the company to be more efficient, and for customers to want to return and also to recommend their families and friends to that business. 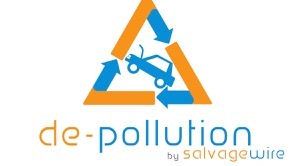 Salvage Wire have developed a training course for Owners, Managers and Leaders within the Auto Recycling and Motor Salvage industry that asks the following questions. Do you have a vision for the future of your company? Is your company competing at the highest level? Is there one thing your company could do better than anyone else? Do you have the right staff in the best roles for their skills? If you have answered yes to 2 or more of those questions then you do not need to read any further, because your business is being run in a manner that will drive it towards the financial goals you have set out, but if you answered yes to only one of those statement, or you cannot answer yes to any of those statements then you need to focus on some core aspects to assist you in achieving the goals you want. To help you do this Salvage Wire are hosting a one day Leadership and Management training day on Thursday 24th April that will focus on the vision for your business, why you are doing what you do and giving you time to think about a number of key business issues. Liberally sprinkled throughout the day will be additional help and assistance on being a leader and manager in your business, helping your staff to grow and develop, looking for and exploiting opportunities to advance your business, and plenty of time for discussion and thinking about the future. This could be just the opportunity you are looking for, time away from the business to reflect and think, time to start planning for the next business opportunity, time to start or refine that vision you have for you, your family and your business. Feedback received from one delegate was “ this really challenged how we run/want to run our business, both of us have taken a lot away from this course to work on”. 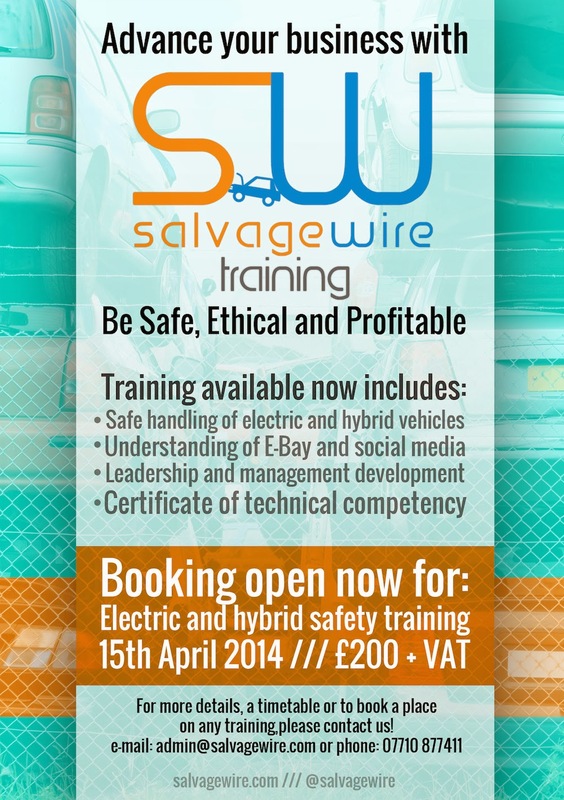 For more details of the course, including special discounted rates for BVSF and MVDA members please contact Andy Latham at Salvage Wire on 07710 877411, or andy@salvagewire.com.